Brown Bag Lunches can get boring if they are the same old thing over and over again. Kids may trade to get a lunch that they find more fun to eat. For adults, boredom can lead to a trip to the vending machine or convenience store- a difficult place to find healthful choices. The solution is to mix it up with nutritious and think outside the brown bag. 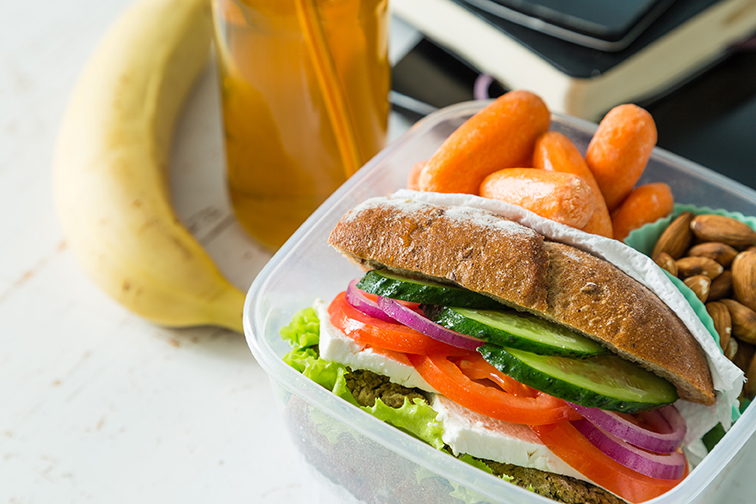 To start thinking “outside the bag,” use the ideas below to put together a fun lunch that brown baggers of all ages will enjoy. Be sure to add your favorites to the list! Whole grain crackers and cheese, chicken and vegetable soup in a thermos, a serving of celery sticks, chocolate milk to drink and a Ginger Gold apple. Three-bean salad with grape tomatoes, low fat bran muffin and thawed frozen fruit topped with yogurt. Toasted whole grain English muffin with tomato, turkey, and low fat cheese with 100% grape juice to drink. Authored by Mary Choate for Stronger Together. Reprinted by permission from StrongerTogether.coop. Find articles about your food and where it comes from, recipes and a whole lot more at www.strongertogether.coop.